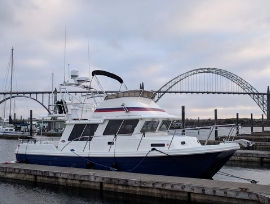 Tomco Marine Group’s newest project, the Waypoint 36, allows the LaConner, Washington, boat builder to experience a new power system – Volvo Penta diesel inboard engines supplied by Pacific Power Group. 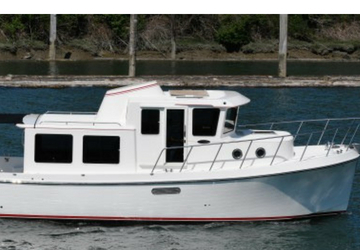 The Waypoint is based on the fiberglass construction of Tomco’s 365 hull and deck. 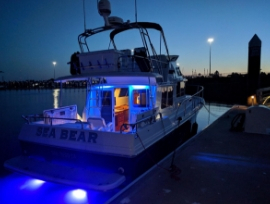 The overall design is meant to deliver a more affordable trawler capable of handling the waters from California to Alaska or Florida to Maine and maintain the quality and craftsmanship of the American Tug name. 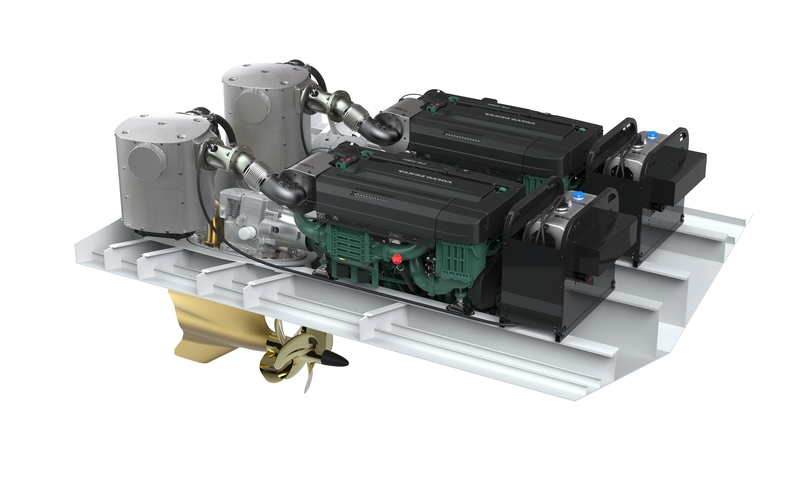 Tomco consulted Pacific Power Group to find the ultimate power system and chose Volvo’s D4 engine line. The standard Waypoint will feature the D4-260. This 260hp, 4-cylinder gives Tomco an engine that delivers top performance with lower weight and emission levels. The initial Waypoint is being powered with a D4-300, which ups the power to 300hp. The Volvo engine gi ves the Waypoint operator a boat that has great performance and superior reliability. The engine’s design also gives the owner class-leading fuel efficiency and durability. 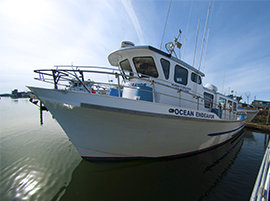 Tomco’s typical trawlers feature one stateroom. 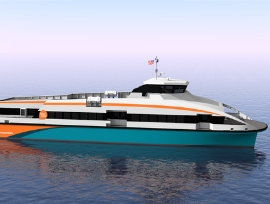 The Waypoint’s design includes a second stateroom and a salon/galley. 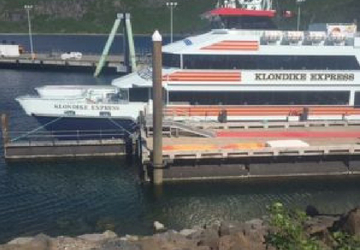 This design necessitated Tomco Marine to abandon the engine configuration it typically uses due to size constraints. 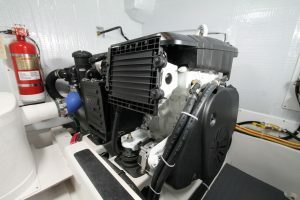 The Volvo Penta engine size along with its performance made it the perfect propulsion system for the new Waypoint, said Kurt Dilworth, Tomco’s vice president. But even with the smaller engine room, Dilworth said the space is easily accessible for maintenance and repair needs. During the initial run of the 17,500-pound Waypoint, it topped 16 knots, 2 knots more than anticipated. Sea trial data had the Volvo Penta engine delivering an average speed of 16.65 knots with a light load. “The Volvo engine exceeded expectations,” Dilworth said. 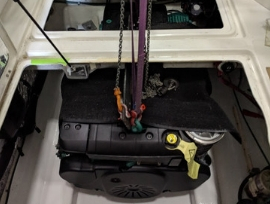 The Waypoint and Volvo Penta partnership is drawing interest from consumers after it was unveiled in May at the Anacortes Boat & Yacht show in Anacortes, Washington.